The summer months are here and with them, lots of fun & sun. Thought I would start this month’s blog with a rundown of the Kingsburg upcoming events. This coming Monday evening, June 20th, The Big Big Bank from Sweden’s Celebration Tour will be performing at the Memorial Park at 7 pm. This concert is FREE and is presented by Concordia Lutheran Church. June 23rd marks the beginning of the Summer Bank Concerts Under the Stars in Memorial Park and will run every Thursday night through July 28th. Food venders open at 5 pm and the concerts start at 8 pm. June 30th will be sponsored by New Era Financial & Hal Collin, our sister mortgage company right here in Kingsburg. We will be handing out FREE “Pride in American” flag clings. So please join us for this awesome musical tradition since 1887. A true slice of Americana. Sunday, July 3rd, will be our Annual Independence Day celebration with the gates opening at 6 pm and the show starting at 9 pm. Look for the Kiwanis booth and buy an ice cream or root beer float. With your entry ticket, you will receive a FREE slice of watermelon provided by Adam Castaneda’s awesome family. Another grand slice of Americana. 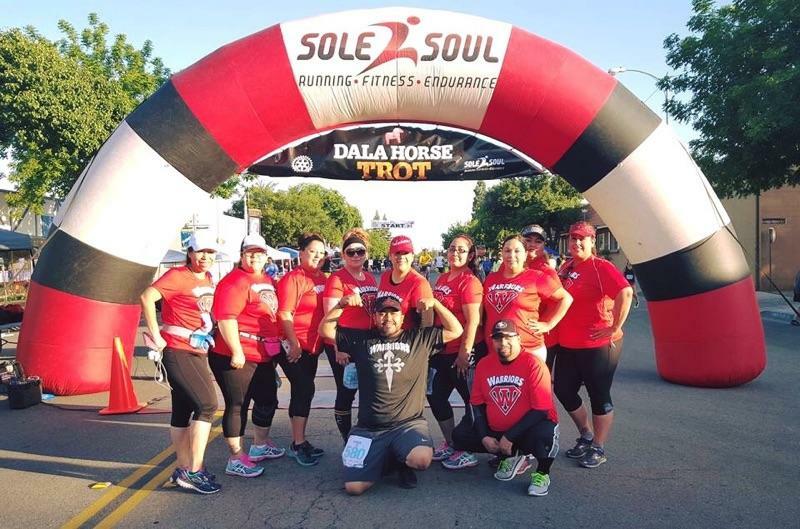 And speaking of New Era Financial, see the photo below from the Dala Horse Trot in May. This group of young people drove all the way from Madera to run in the race. It was organized by none other than Yesi Rodriguez, a treasured loan processor from our Fresno office for over 18 years. Way to go Yesi! On to the real estate market in Kingsburg. In May 10 homes sold and closed escrow, which is up from the 6 in April. What is really telling is our inventory of Active listings. We are only showing 16 homes for sale. Wow. I cannot remember a time when there was so few homes on the market. Our “days on the market” is only lasting an average of 22 days, which means that it is only taking about 3 weeks from Active to Pending. The feds are still holding mortgage rates down, which is a good thing.